The character of the Maremma Sheepdog can be described as calm, good-natured, cautious, but fierce to enemies of his flock. He is a good guardian over the house and its inhabitants, attached to his master, but can be aloof to strangers. A Maremma is self-confident and self-willed, and thus needs a consequent, but not a harsh training, that is if you don't want to have any trouble in your 'pack'. The breed is originally bred and used as a guardian and defence dog for live stock. The Maremma is used as such till today in Italy. In the United States and in Australia the breed has successfully been introduced to guard the sheep against coyotes and other predators. In comparison to other real shepherds a Maremma is calmer, aloof, more independent, so he can perform his task better without people and he can withstand bad weather conditions. His hunting abilities are relatively badly developed, so he won't chase the animals he has to protect. A working Maremma lives between the sheep and sees the sheep, or any other kind of animal he has to protect, as part of his pack. 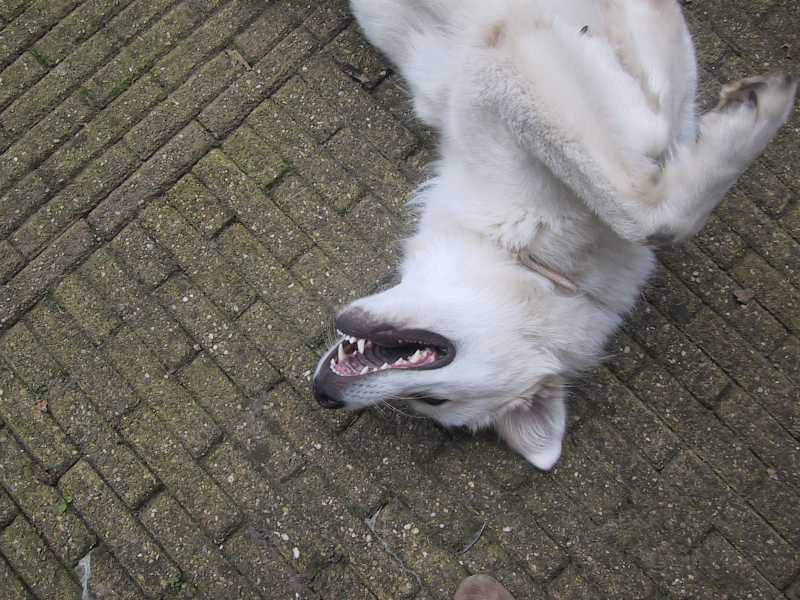 In Holland there are no or very little working Maremma. The Maremma as a companion and family dog is more obedient as his working congener, he can generally be described as calm, aloof, sometimes a little suspicious towards strangers, attached to his master, self-willed and independent. He will protect whatever he sees as part of his pack. A Maremma is not obedient in the usual sense. He had to stay with the sheep, not follow his master. A Maremma patrols along and through his flock and takes action when he thinks it is needed. It is therefore not necessary to train a Maremma how to guard; he himself knows better than anyone else. It does not mean that a Maremma can't be trained. He will quickly learn how to sit, heel or lay down, but he will never have the 'will to please' as it is seen in some other breeds. A Maremma is not submissive and dependant, and he will be reserved and a bit timid with strangers. It also doesn't mean that a Maremma wouldn't need leadership. However you can not enforce your leadership upon him, a good relationship originates from a mutually based friendship and a lot of patience. When you are looking for an obedient and submissive dog, who will follow your commands and orders instantaneously, a Maremma Sheepdog is not the dog you want to have.